So when I first heard the news that the Grand Jury had cleared him of any criminal intent, and that the case was closed through no-billed, I immediately tweeted my joy. 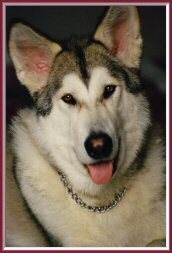 @Springwolf: I’m SO happy the Grand Jury came back with the right decision for @TonyStewart. But of course not everyone was happy and relieved. A number of people “suddenly” became experts and began taking the DA’s statement out of context, attributed words to the official statement that were not said and twisted the meaning of what the DA did say, in order to keep this story alive and stoke the fire surrounding the decision. Stewart is “clear” is inaccurate. The DA or future DA still has the ability to charge him. New evidence. ~ Which was tweeted by a season NASCAR reporter. No, that’s not what it means. I’m sorry but as a professional reporter, you should know better! “If the case is no-billed by the Grand Jury, that is the end of the matter.” Regardless of what state the Grand Jury is assembled in, the “no-billed” finding is the same. 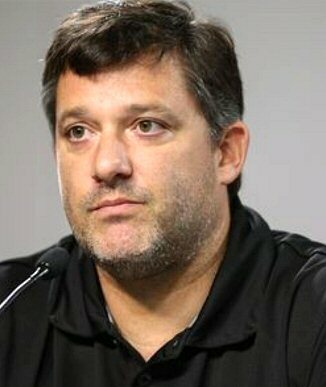 Which means Tony Stewart has indeed been cleared. All you need to do people, is take a few moments to Google and verify your assumption. Additionally, this comment assumes any new evidence will contradict current evidence. That’s a huge assumption. Any new evidence could confirm what has already been determined and support the findings. New evidence would have to seriously refute all current evidence and that’s a tall order in No-Bill cases. ~ Quinn Attorney At Law – What is a Grand Jury. NYS doesn’t have a standard for levels of impairment from THC. “high” is an opinion. That too isn’t accurate either. In legal cases when a State does not have a defined standard, they can refer to a Federal Standard or to a standard set by a neighboring state. This is rarely done, because all states have some type of standard or driving under the influence. 2) New York maintains a Per Se Cannabis Law. In general these are Zero tolerance standards for any transportation operations. That means a car, commercial trucks, trains and planes and many other things in between. More than a dozen states have “per se” cannabis driving laws that hand a DUI conviction, without a trial, to anyone exceeding the state’s THC blood limit. Most of those limits are set at zero. Most states have effect-based laws that require evidence of impairment due to recent ingestion of a controlled substance for a DUI conviction. ~ Here’s Where You Can Get Arrested For DUI Weeks After Smoking Marijuana ~ Huffington Post. You’ll find a kewl map that can help you visualize the differences between states. But the point is; everyone does indeed have a standard! You can find the specifics on your state’s drugged driving laws at Legal Issues. Kevin Ward Jr.’s Toxicology Report Shouldn’t Have Anything To Do With The Decision! The question was asked by the press if the level of marijuana in Ward’s system was enough to impair judgement? The DA said yes. This doesn’t mean that evidence was presented to the Grand Jury. It also means there is a standard to compare the level within Ward’s body to what New York deems as impaired driving. There is no way to test for levels in DUI: marijuana! Another inaccuracy. Have any of you ever heard of Google? Or maybe you don’t know how to read! Experts agree there are many factors that need to be reviewed and considered when testing for THC; the chemical in Cannabis sativa that makes one” high”. The main and biggest issue is the absorption of the chemical in an average adult vs a long time user vs the combination with other ingested materials such as food or alcohol. In this case, how much THC was in Ward’s body could easily be determined because of the autopsy. Once his heart stopped, the chemical was no longer being distributed through his blood and absorbed by his organs, including his brain. At that point his THC levels were stabilized and could easily be tested. That he still had enough pot in his system after an hour or hours of racing, clearly indicates how high he was at the time of the accident. The Medical Examiner would also be able to determine the other factors of influence from the internal autopsy itself. So I’m sorry Pot Activists, you’re not talking about a guy pulled over on a highway who gets tested an hour or two after he smoked a joint. You’re talking about at young man who was already deceased at the time of the accident. His body stopped metabolizing the drug which means, yes they could and they did make a good determination of the THC and determine the amount for DUI consequences. Tony drove straight for Ward and hit him on purpose! The video clearly shows that! Well for all you self proclaimed forensic video experts…stick to your day job. Because you’re wrong. This means the professional forensic video experts determined Tony maintained his course straight and DID NOT “turn up” into Ward. Rather the car moved up on the track as the result of Ward moving into the path of car. Tony didn’t hit Kevin; Kevin hit Tony. You can hear the sound of the engine speed up as Stewart moved up the hill! What you hear doesn’t always mean what you think it does. And if you’ve never raced a Sprint Car, you have no idea how those cars are driven. I am by no means any kind of an expert, so I go to those who are. You can look at this from a professional driver perspective, or you can look at the physics. I’m better with physics. So I suggest you read this thread Why is sliding in dirt track racing faster? on the Physics Forums. Or try a search on Google for finding a Sprint Car driving school. There are many of those to learn from. Using the throttle and steering of the front tires, help a Driver maintain the control of their car. He didn’t speed up to intimidate, he speed up to maintain his line in an attempt to drive down the track and miss Ward all together. Once again self proclaimed experts have no clue what they’re talking about. I tried to find a good article that describes for the novice, exactly how a Winged Sprint Car is driven on the track. I never found what I was looking for, until this morning on Twitter. Thanks to Marty and McGee for helping out with that! On Thursday, ESPN Radio posted the latest podcast from “Marty and McGee“; a show hosted by ESPNs Marty Smith and Ryan McGee who deliver a NASCAR-centric motorsports podcast. These guys know what they’re talking about! – The 9/25/14 show features Paul McMahon; who is considered the premier expert of Sprint Car racing to discuss the Ontario County DA’s decision in the Tony Stewart case. In that interview Marty describes Paul McMahon as “the voice of Sprint Car”, who has the resume to back up his insights and explanations of Winged Sprint Car racing. They lost the connection with Paul. When they reconnected he finished his description. “..Yeah I mean, we got 25sqft wing and the right sideboard is down low on the race car, so anything past the right front you kind of loose your visibility of it. You’ve got a little peripheral vision of it, but then with our full containment seat you start losing more and more as it gets past the right front. They’re very hard to see out the right side, we don’t race outside the right side of the race car. Everything we do is straight ahead.” ~ Winged Sprint Car Series driver Paul McMahon. The DA submitting the case to the Grand Jury was a gutless move! First thing I did was look up when Tantillo’s election was. Was he up for re-election? Is he trying to promote his profile and take advantage of this situation at the expense of Tony? Well he was re-elected in 2013, so that wasn’t it. The State Attorney General’s office could be an answer. But he has past the deadline to put his name in the election pool. So that wasn’t it. Then maybe it was gutless, he didn’t want the responsibility. “I think it’s important that the public knows that a large group of citizens drawn at random from the community heard all the evidence in the case and collectively returned a judgment”. Had Tantillo made the decision himself, people would be accusing him of favoring a NASCAR Star and maintaining a double standard for the rich and famous. By putting the case before the Grand Jury, 23 different people had the opportunity to review the same evidence and make a decision. That’s a bigger collective of regular citizens who cleared Tony of any criminal wrong doing. I think that’s a better result, and lends more credence to that result. So maybe it was a very Smart thing to do, and not gutless. Here’s the first part of the response from Tantillo: Why submit to a grand jury? There were probably several reasons. When I reviewed the investigation that had been prepared by the sheriff’s department, it was clear a number of the witnesses interviewed had different perspectives on what they’d seen and heard. There were varying versions of what had actually taken place. There was not one clear monolithic story that was presented to me. Additionally, several of the important witnesses chose not to make statements to the police. They did not want to make any statements, so the only way I could find out what they had to say or offer was to subpoena them and compel them to testify, which I did. Finally when you have a case of this magnitude and this interest, I think it’s important that the public knows that a large group of citizens drawn at random from the community heard all the evidence in the case and collectively returned a judgment. I think it’s something people can rely on. That’s important, too. Tantillo also made note that the Grand Jury themselves asked a lot of really good questions to clarify evidence and fully understand the event as it happened. They were given evidence and testimony for 2 and 1/2 days and deliberated immediately after the final witness testified. Witnesses were called BY the DA. Which included two accident forensic reconstructionist. One for the State and one from the Defense. However, the defense doesn’t call a witness or expert to rebut information provided by the DA, unless the DA agrees before hand. Only the DA calls witnesses or experts in a Grand Jury. He may ask the defense if they want to present any witnesses or experts. But the DA has the final determination of who goes before the Grand Jury. In the end, the 23 person Grand Jury took less than an hour to return their decision. What Are Grand Juries? The bottom line, haters are going to hate and it’s easier for them to ignore the evidence than admit they were wrong. You can’t fix stupid. 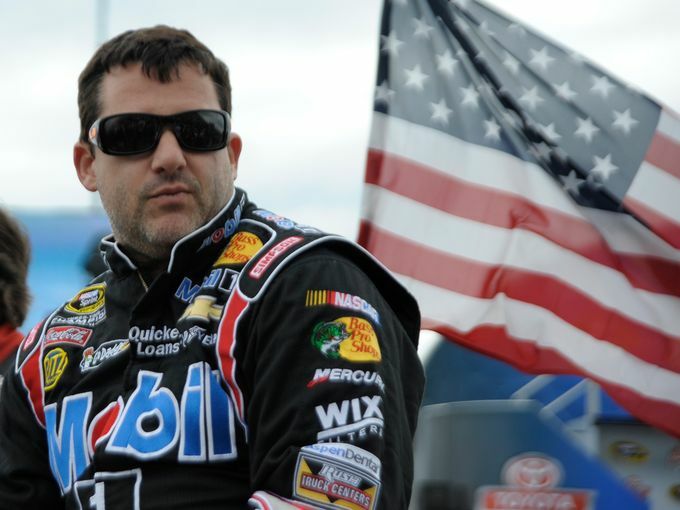 Tony Stewart has been cleared of any criminal action and is not guilty of anything. He also released a statement posted on his Facebook page, soon after the DA held his News Conference. While the Stewart camp, his family, friends and fans are happy and a bit relieved over the Grand Jury decision, it’s important to remember a family is still in mourning over the death of their son. It shouldn’t surprise anyone that the Wards don’t agree with the Grand Jury’s decision. They asked to speak with the Jury and they were allowed to do so. But their statements did not change the decision and final outcome. Of course they’re disappointed and no one should be angry about that, nor should anyone turn on a family in mourning. But there are some statements from the Ward camp that need to be held up to scrutiny. The marijuana revelation, previously unreported, provided new evidence that transferred the focus of responsibility from Stewart back to Ward, something his family took issue with. While my heart goes out to the pain the family is going through, their anger can’t change facts. The race was not suspended, which in some way suggests racing on the track had been stopped. That’s not the case. The race was still active, albeit under a Caution. It was still and ACTIVE track, meaning there were still cars driving at a fairly good rate of speed. This isn’t your neighborhood where there’s a posted 25mph speed zone. Cautions are generally 35-45mph, depending on the track. At this track, caution speed was set at 45mph, according to previously reported articles on the incident. The accusation about speed and acceleration were part of the professional forensic video examination. The speeds, distance, lighting and visibility were all part of that evaluation. If there had been truth to the accusation made by the Ward family, it would have been presented to the Grand Jury from both the forensic evidence and the accident reconstructions. And they would have evaluated the impact of that evidence. Since we don’t know what was presented, and we will never see a transcript no one can say that information wasn’t presented or asked about by Jury members. As for the intimidation, any race fan from any series will tell you that intimidation is part of any race. In NASCAR a VERY popular driver in the series earned the nickname “The Intimidator” merely because of his driving style. I’m sorry, but if your family has been in racing as long as the Wards profess, they already know this. So why bring this up? As the mother of a son I know the feeling of wanting to protect your child. Needing to shield him from those who want to push him around, or even intimidate him. But we moms have to remember our boys grow up and become men. We hope that we gave them the confidence and tools to use in adulthood to stand up for themselves and believe in themselves. When that intimidation is part of the profession you’ve chosen, a career that follows in your father’s footsteps; then it’s something you already know about. Something you’re already familiar with and it has less impact on you or your actions than a novice, or a Mom. Did Tony intimidate Kevin Jr? Who knows, but it has no bearing on what occurred. Finally the focus was on Mr. Stewart and his actions. But Tony was not the only one involved in this incident. Kevin was also there and Kevin created the situation. Kevin Ward Jr. allowed his anger to get the best of his judgement. And the marijuana also probably had something to do with the impairment of his decision to walk down the track. But the choice was his and he put himself in harm’s way on an active track. No one made him walk down in front of moving traffic on a hot track. And no one pushed him into the #14 car. 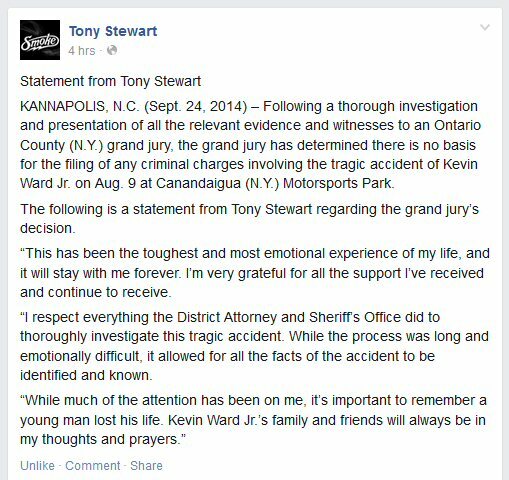 Kevin’s actions turned Tony Stewart into a victim of circumstance and he paid a great price for that decision. Now that the focus on Tony has cleared him from wrong doing, we must review the actions of Kevin and hold him accountable for his own actions. I know many race fans who are not only surprised a Race Car driver would be so irresponsible as to race under the influence of an illegal drug (still illegal in NY State), they’re even a little pissed. His action drive “high” endangered everyone on that track in that race. This is why NASCAR has such extreme standards for drug testing it’s race participants. And not only the drivers, but entire teams. Everyone is drug tested before the season begins, and randomly throughout the season. Each week, the governing body randomly pulls a couple of drivers and team members for pre-race testing. There is no such requirement in local dirt track racing. Tony is a kind, generous and compassionate man. Regardless of what the Grand Jury has decided, he’s the kind of man who is always going to feel responsible for he is involved in. He’s always going to question himself, could he have moved or reacted faster to avoid Kevin. Would things be different if he didn’t race that night, or telling himself he should have never gone to the track that weekend. He’s repeating comments others have said in his head like a recording that can’t be turned off. He’s thinking and talking to himself about a million other things that none of us will ever know or understand. We have the luxury of sitting back and looking at the overall story line. Tony Stewart re-lives the memory of that night every day. And it will be a very long time before he can wake up each morning without thinking of that moment. If there’s one thing I could say to him, it’s that you and Kevin were chosen to make a great sacrifice to bring forth changes that will save many more lives than you can imagine into the future. And maybe it had to be you, because of who you are and what you have become so that those who make the decisions will take notice and act upon the events that will bring about the right changes. And because of who you are, you’re the only one who is strong enough to get through the aftermath and consequences related to that sacrifice in one piece. It isn’t easy. It requires a lot of healing and patience with self and those around you. I’ve mentioned before here on my blog, professionally I’m a minister of my faith and hold a doctorate in spiritual counseling. I’ve come to believe there are always two sides to a story. It’s not only the physical events that write the tale. It’s the spiritual influences, oversight and even the answer to the hardest question of all; why? Why did this have to happen? Sometimes it’s karma, sometimes we’re learning spiritual lessons. But sometimes in order to make a big difference and give something back to the world that has been so good to us, we make a sacrifice. Unbelievable to some. But a selfless act that only we can make for our community and for the betterment of all. We may never know if this was an agreement between Kevin and Tony. To make a spiritual packed to return something to the world that no one else can accomplish. But both of them deserve our thanks for the many lessons they brought into our lives and our racing communities. Without them our favorite drivers would still be at risk, still be in danger and through their sacrifices great, small and in between; they all are a little safer today. My family extends our thoughts and prayers to the Ward Family, to friends and fans of Kevin Ward Jr. And to Tony Stewart who will always carry this burden through out his life as well. To his family, friends and fans; you too are in our thoughts and prayers. For more information on the Institute for Behavior and Health, Inc. visit www.ibhinc.org. For more information on drugged driving visit StopDruggedDriving.org.